Ever since I moved in with my fiancé a few weeks ago, I’ve been on this huge recipe-experimenting kick. Since we both work full-time and generally don’t get home until 6 or 7pm, I was determined to plan all of our weeknight meals in advance to avoid coming home and getting all stressed out about what we could have for dinner. I make my weekly menu plan on Sunday, generate a grocery list, go shopping and do as much prep as possible on the weekend. Plus, it can help save money because you’ll know exactly what you need to buy at the grocery store! 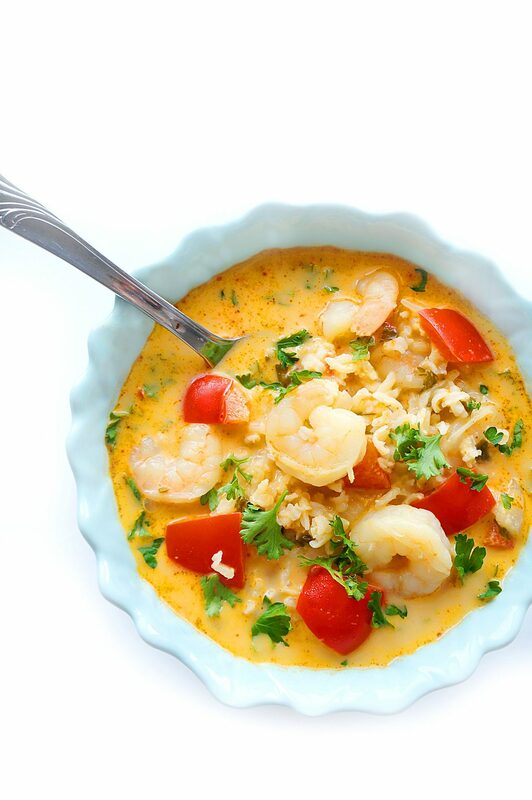 One of the recipes that has become a regular item on our menu rotation is this Thai Coconut Shrimp Soup. It is SO delicious and tastes just like take-out! 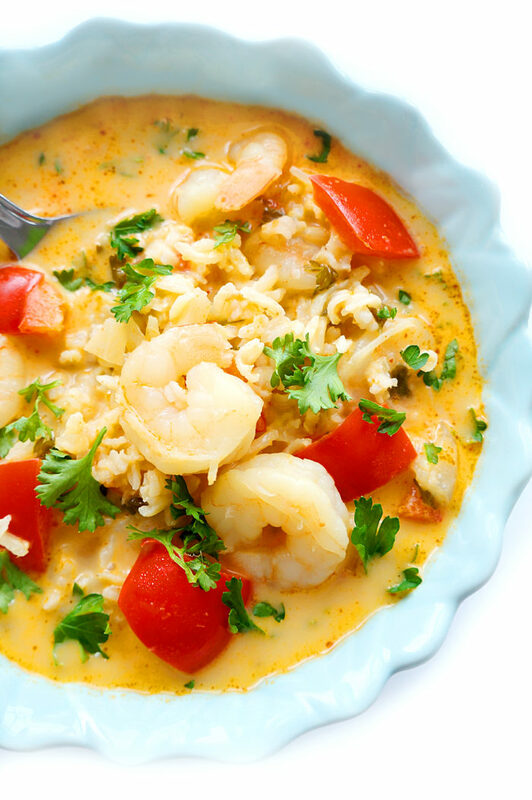 It’s very filling because it basically has the complex carbohydrates, protein and vegetables all packed in one mouth-watering bowl of soup. I also love that it’s SO easy to prepare! We can basically come home, get it all cooking up in the pot and eat within 30 minutes! These types of recipes are my new favourite weeknight meals. 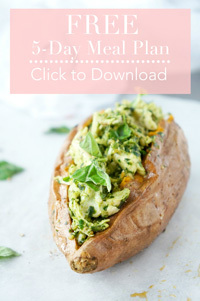 Easy, stress-free, delicious and healthy! In a medium saucepan, cook rice according to package instructions; set aside. Heat olive oil in a large stockpot over medium high heat. Add shrimp, salt and pepper, to taste (optional). Cook, stirring occasionally, until pink, about 2-3 minutes; set aside. Whisk in curry paste until well combined, about 1 minute. 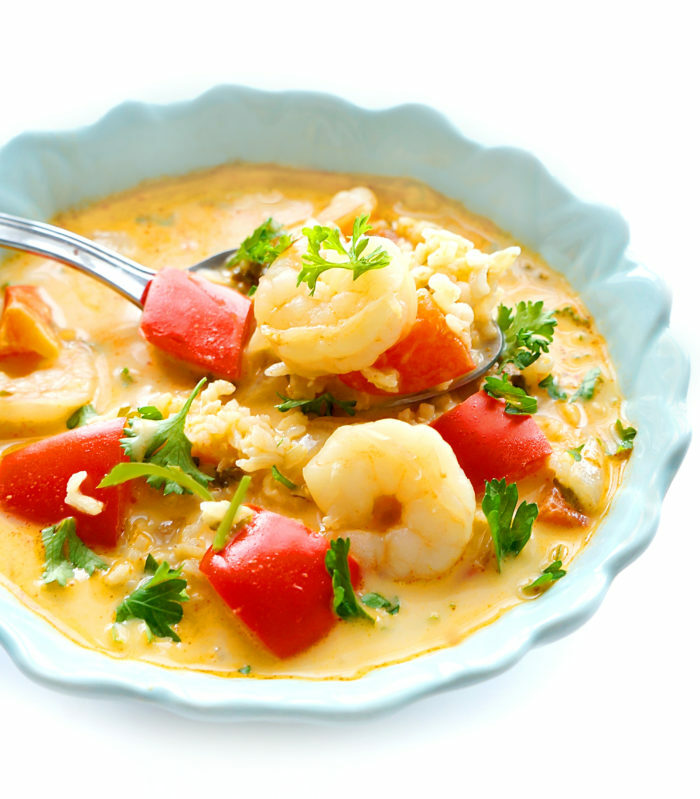 Gradually whisk in coconut milk and chicken broth, and cook, whisking constantly, until incorporated, about 1-2 minutes. 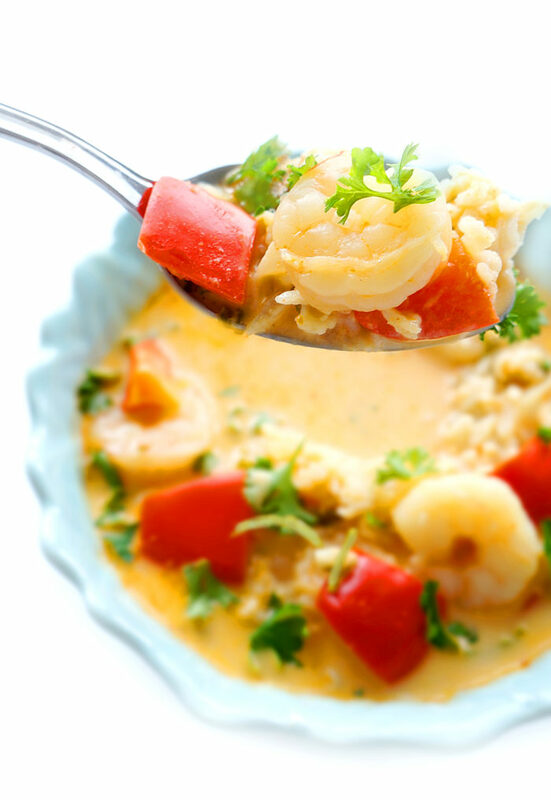 Stir in rice, shrimp, lime juice and parsley.